Some of the boundaries of the outer-lying districts are approximated and will be corrected in due course. A series of administrative maps depicting changes to boundaries over time is envisaged. 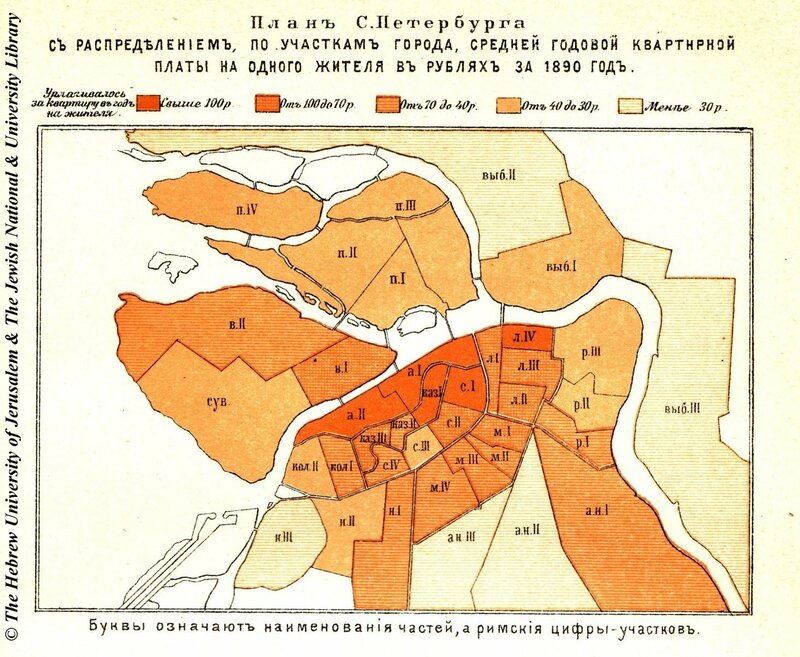 Future plans include constructing a database of historical and geographical statistics (such as sickness and mortality rates, rents, or industrial activity) which can then be loaded onto the maps. The administrative maps will also be available for viewing as layers in combination with the literary maps, to enable comparative analysis of the real and imagined lives of the city. The Brokhaus-Efron map is reproduced from the Historic Cities website.